Truck accidents are overwhelming, catastrophic events. In a split-second, your life can change forever. The steps to take after you or a loved one were injured in a truck accident can be confusing, frustrating, or downright infuriating. Accidents involving semi trucks, tractor-trailers, or big rigs can be deeply complex. Before the dust has even settled, truck companies make it a priority to send their representatives to the scene to collect evidence. They're already attempting to minimize your claim. If you've been injured in a truck accident and are seeking legal representation, call our law firm at 1-866-943-3427. Our consultations are absolutely free, and we're available any time. Question: Should you give a recorded statement to a trucking company? Question: Should you speak to a rep from the trucking company? Question: Should you give a medical authorization to a trucking company? Question: Should you discuss your medical condition with a trucking company? Question: Should you try to settle your case or a loved one's case with a trucking company? Question: Should you meet with a trucking company rep? 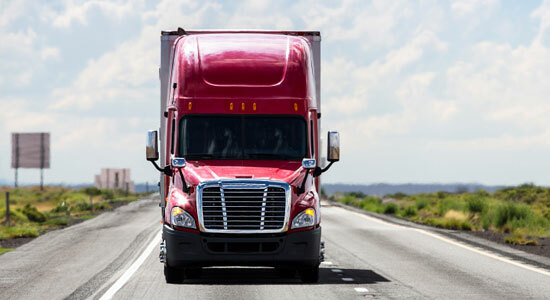 Question: In short, is there anything to be gained from dealing with a trucking company when someone has been injured? Question: Will your own insurance company protect you from the trucking company? Question: Should you give a recorded statement to your own insurance company before consulting with an attorney? Question: Isn't your own insurance company always on your side? Your own insurance company is responsible for paying you some medical benefits, but those benefits are often limited. Many times your own insurance company wants to take a recorded statement about your claim to keep from paying you all the benefits you deserve. Therefore, we suggest you always speak with an attorney BEFORE you give a recorded statement to any insurance company, including your own. While your insurance policy may require you to give a recorded statement to your own insurance company, you always have the right to speak with your own attorney before you give a statement. There are times when truck accidents result in the unimaginable. They cause the deaths of innocent drivers. In these cases of wrongful death, the family is often left confused, frustrated, and emotionally distraught. Our law firm can help if you've lost a loved one to a catastrophic truck accident. Find out more information about wrongful death lawsuits here. Since 1982, we've helped over 75,000 injury victims. With a proven track record of success, we know the ins and outs of truck law, and we can fight to get you the compensation you deserve. Call us for free at 1-866-943-3427 or complete the form located in the top right corner of this page. Click to chat with one our representatives in the box to the bottom right.